Kenya Airways and Amadeus have renewed a long-term content agreement that sees the African carrier facilitate consumer choice by making its full range of travel offers accessible to Amadeus’ global travel agency community. Vincent Coste, commercial director, Kenya Airways, commented: “Our long-standing partnership with Amadeus and its global travel agency community is instrumental to ensuring travellers have the freedom to access and shop from our complete offering, wherever they may be and through whichever channel they prefer. “This year, Kenya Airways has turned 40 and has great offerings for its guests. 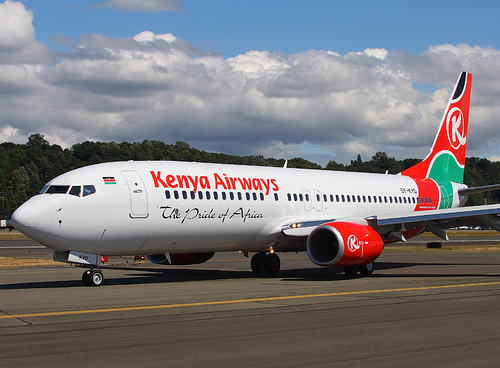 Kenya Airways, a member of the Sky Team Alliance, is a leading African airline flying to 52 destinations worldwide, 42 of which are in Africa and carries over four million passengers annually. Maher Koubaa, vice president, airline commercial, Middle East & Africa, Amadeus, said: “Whether for business or to enjoy the rich and vast cultural offering Kenya has to offer, we are pleased to help keep the door to one of Africa’s most exciting countries wide open.